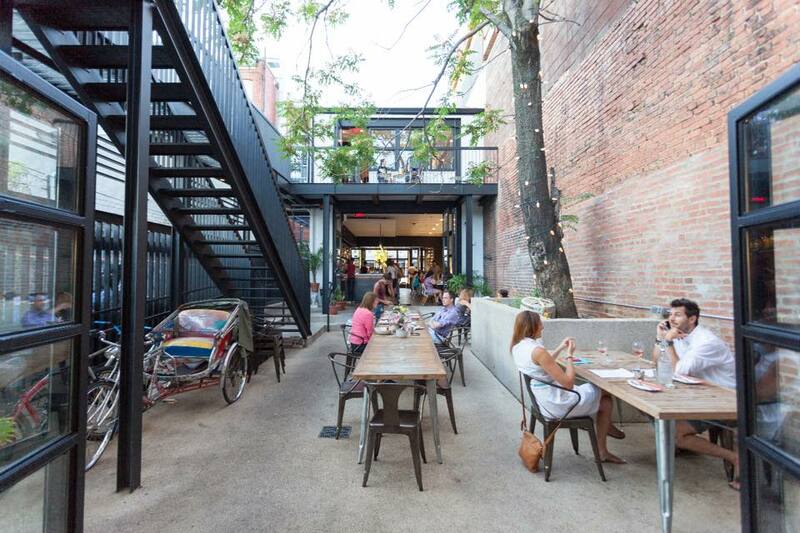 Discover the best restaurants and bars for outdoor dining in the nation’s capital. 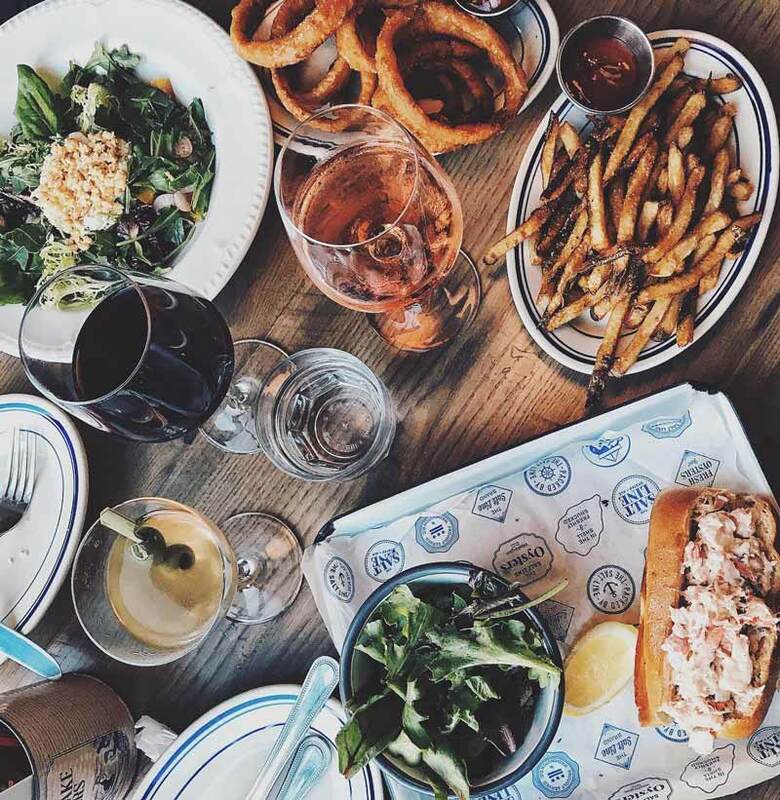 Many of the city’s best restaurants and most exciting bars offer outdoor seating, so whether you're a foodie or just looking for some sunshine, there are great options for you. 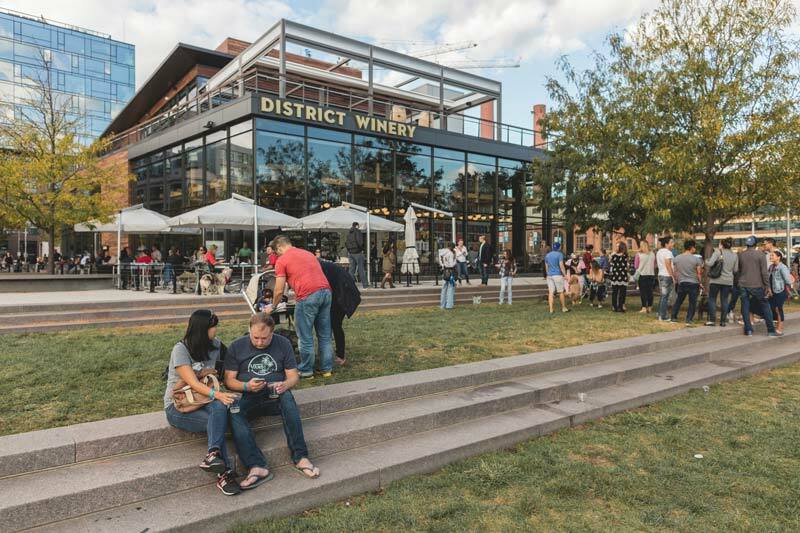 Check out our list of the best DC patios below, and make sure to visit the Georgetown waterfront, the Capitol Riverfront and The Wharf for even more of the city's best riverfront patios. A reminder that most patios are subject to closing if there is inclement weather. 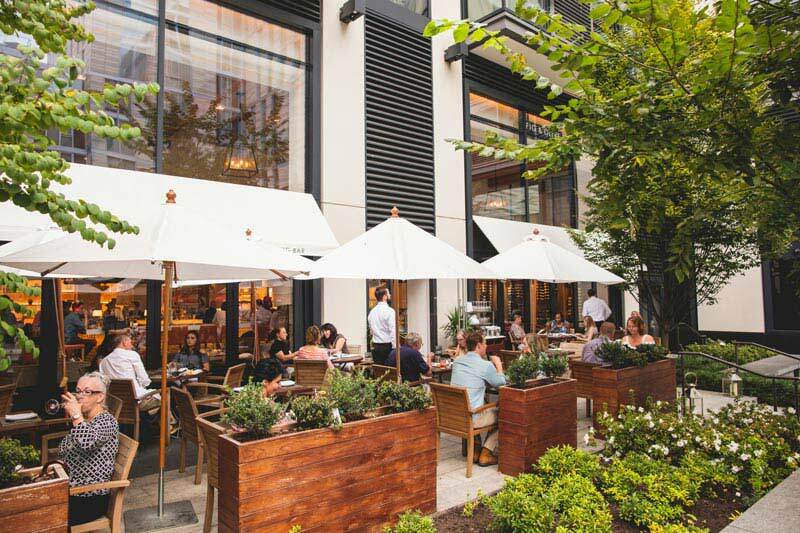 The al fresco terrace at Fig & Olive is an idyllic location inside CityCenterDC, Downtown’s luxury shopping destination. Spend an afternoon under sunshine as you people-watch while enjoying Fig & Olive’s menu, which includes delicious small plates, outstanding seafood and pasta options and even a prix-fixe option. The brightly colored Colada Shop near 14th Street is a photographer’s dream. 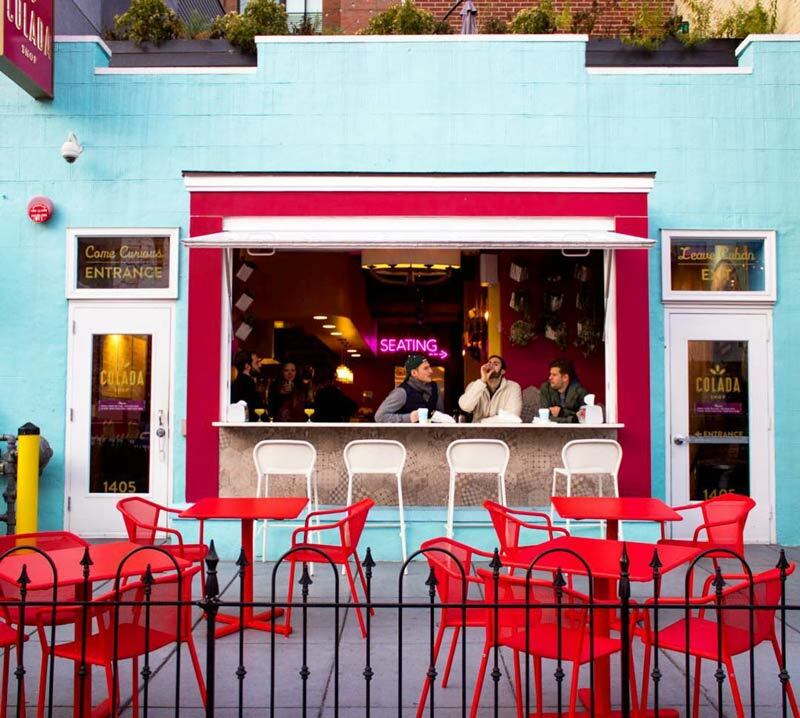 This Cuban cafe-bar hybrid is packed with pastel hues and good vibes, which extend to the dog-friendly patio. Reasonably-priced empanadas and sandwiches bring to life diverse flavors and are best paired with a bold Cuban coffee by day and a cocktail by night. Colada Shop also has a rooftop garden with a Caribbean-themed all-night happy hour on Thursdays. 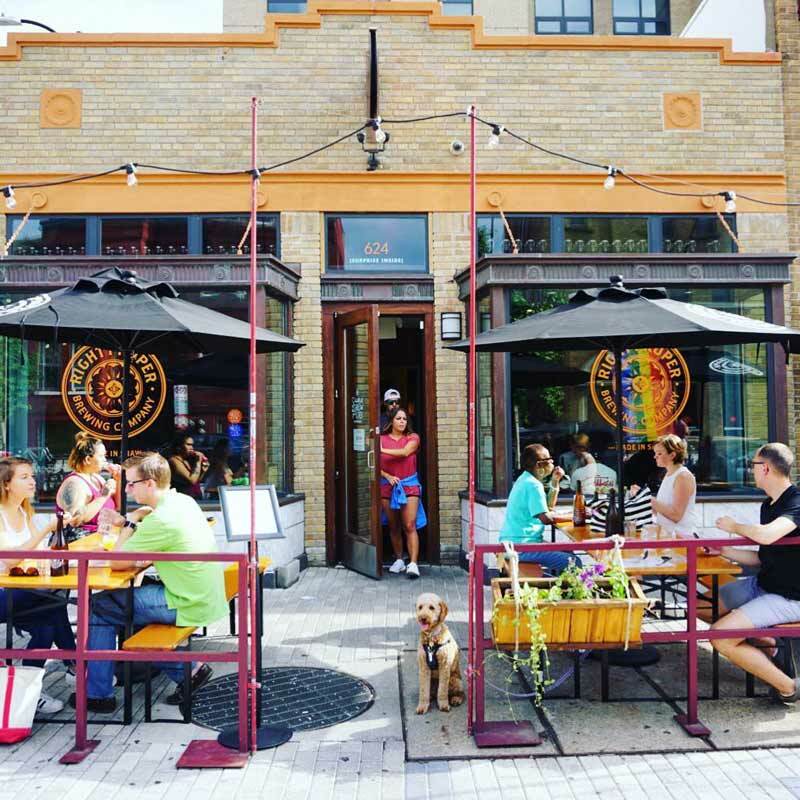 The Shaw neighborhood is a hotbed for DC dining, so it’s fitting that Right Proper Brewing Company hosts its brewpub and kitchen there, with an outdoor patio that will let you get more acquainted with the scenery. Located next door to the historic Howard Theatre, the neighborhood abode offers a regularly rotating selection of house-made brews and a Southern-tinged menu featuring baby back ribs, fried green tomatoes and even grilled cheese. Situated near Yards Park in Capitol Riverfront, Osteria Morini is a rustic escape to the Emilia-Romagna region of Italy. After you take in the ragus, pastas and affordable wines, you can expose your taste buds to the wonderful dessert creations. 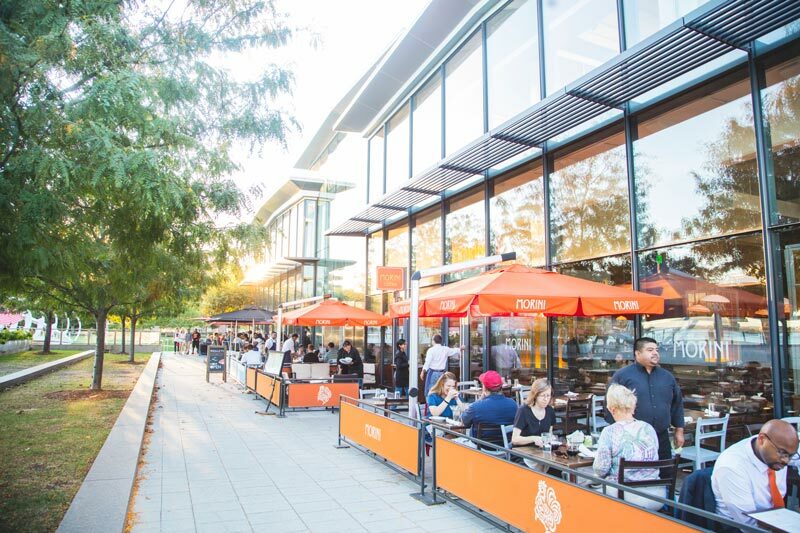 Your meal will taste even better on the outdoor patio, where you can relax and experience the sights and sounds of one of DC’s emerging neighborhoods. You’ll truly feel like you’ve left DC and landed on the Champs Élysées when you dine at Le Diplomate, renowned restaurateur Stephen Starr’s wildly popular French bistro. Authentic French fare (think: onion soup gratinée, steak frites) at “Le Dip,” as the locals call it, is best enjoyed on the outdoor brick patio. Situated on the famous Pennsylvania Avenue NW, Occidental Grill & Seafood is a DC institution. 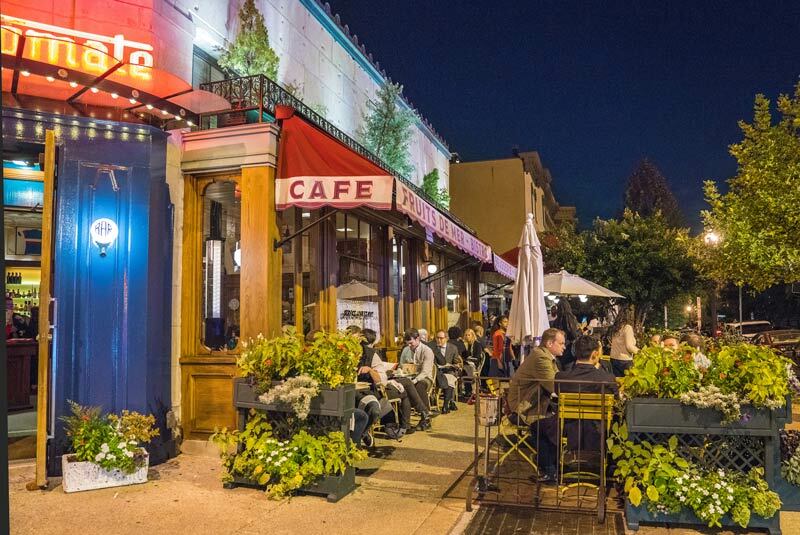 The restaurant has served regional cuisine to DC power players since opening its doors in the early 1900s, and you can feel like a king or queen when you dine on its large outdoor patio. Savor views of Pennsylvania Avenue while enjoying the restaurant’s take on classic American cuisine. This classic 14th Street establishment dishes out delectable rustic Italian dishes in an intimate setting, including burrata and calamari antipasti and homemade pizzas and pastas. 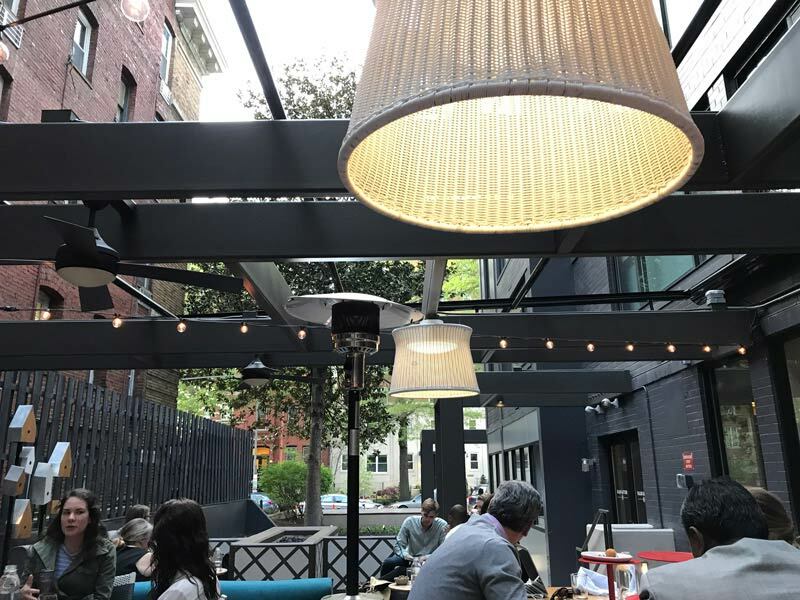 A meal under the Edison bulbs on the outdoor patio – a tough seat to come by in the District – makes for the perfect people-watching/dining activity. A visit to chef Kyle Bailey’s The Salt Line on the Capitol Riverfront transports diners from the District to an idyllic New England setting straight from a postcard. 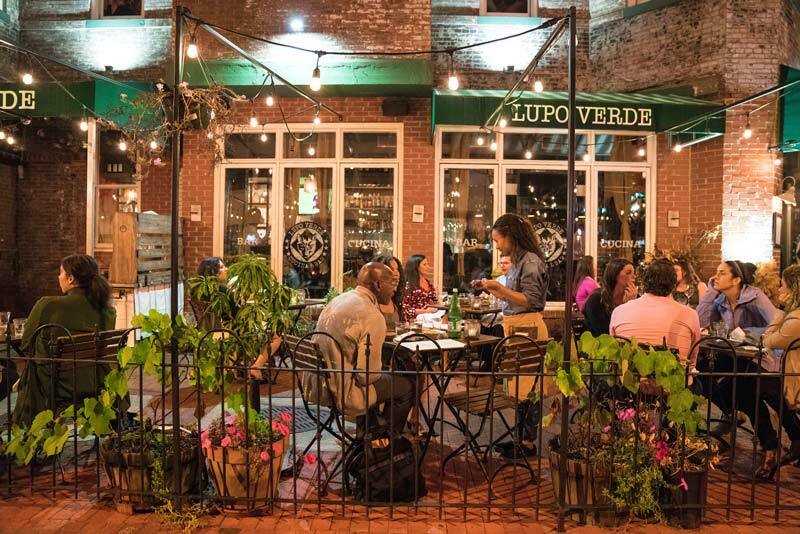 The outdoor patio that overlooks the Anacostia River can’t be beat on a warm spring or summer evening, so belly up to the bar and traverse the Eastern seaboard, sampling oysters from Virginia to Maine. Fabio and Maria Trabocchi’s Italian seafood eatery rests right along the Georgetown waterfront, combining acclaimed offerings with stunning optics. The Kennedy Lounge is the restaurant’s outdoor dining area, where you can indulge in Fabio’s famous takes on antipasti, pasta and locally sourced seafood, whether it’s for lunch, brunch or dinner. A sophisticated ambience resounds throughout Dirty Habit, which blends Gotham-inspired decor and classical architecture to create one of the city’s most distinctive restaurants. Its stylish atrium is fit for lounging and dining. For the latter, choose from a cocktail list that offers classics and modern-day concoctions. An elegant indoor-outdoor vibe and cozy patio overlooking bustling 14th Street make this Spanish tapas restaurant and wine bar a hotspot —even on nights when the patio's fireplace isn't roaring. Go light with a pitcher of floral and fruity white sangria and Spanish cheeses or heavy with a Rioja and paella, either way you’re in for a treat. Chef Nicholas Stefanelli’s Michelin-starred Masseria presents an unforgettable dining experience in the midst of NoMa's buzzworthy Union Market. With a menu consisting of three to six courses, each plate is equipped with loads of Italian flavor and pristine culinary style. You will feel as if you’ve been transported to the Italian coast, especially when you take your meal outdoors in the patio/lounge area. The 17,000-square-foot District Winery is home to Ana, a restaurant specializing in unique new American dishes. Start your wine-filled day with a tasting at the bar before settling down for seasonal fare and waterfront views on the outdoor patio, where there’s space for 80 diners. 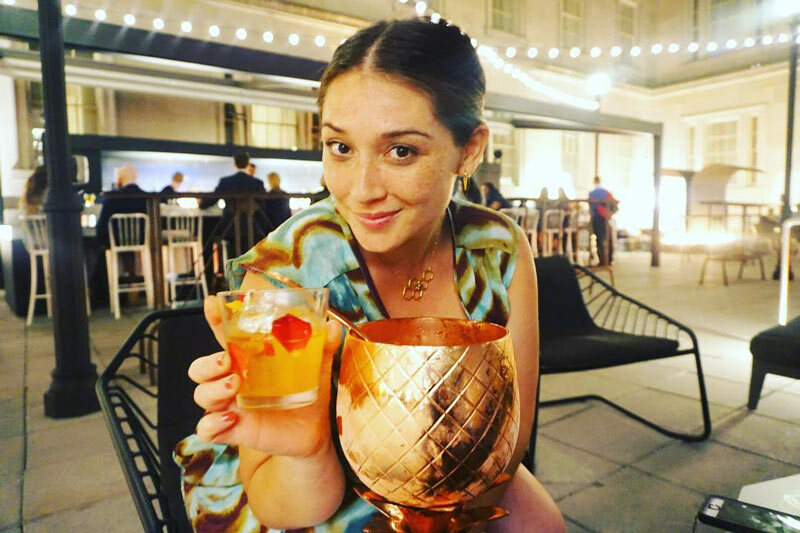 Located at the Kimpton Mason & Rook Hotel in Logan Circle, Radiator is a great place to bring a group to enjoy specialty cocktails, innovative and shareable small plates (think pork croutons and Wagyu steak) and locally crafted beers. Its outdoor patio lets you peer out into the hustle and bustle of the city while also providing luxurious tranquility. Located in Mount Vernon Square, RPM Italian is owned by celebrity couple Bill and Giuliana Rancic. The eatery is great for a date night, with Italian classics dotting the menu crafted by acclaimed chef Doug Psaltis. 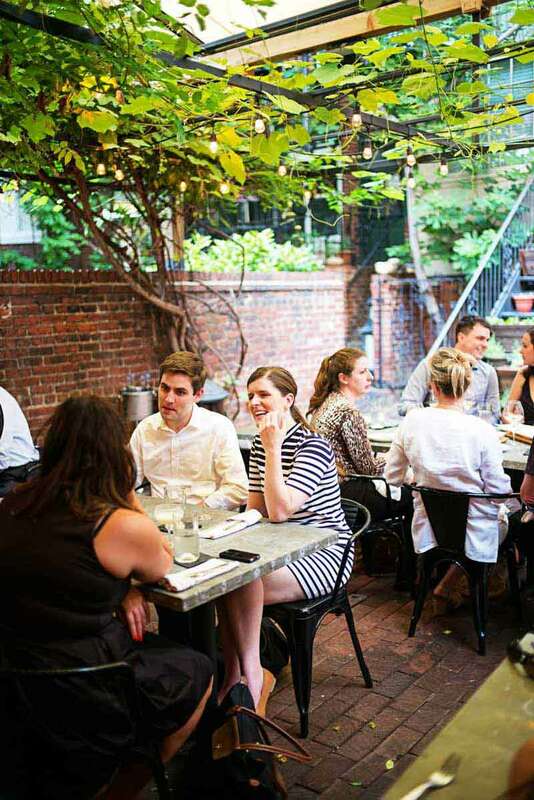 Warm weather means you can take advantage of its outdoor patio, and we highly recommend adding a glass of wine from RPM’s extensive list to your dining experience. This timeless, romantic restaurant in Dupont Circle serves up delicately cooked Mediterranean fare in what was once the home of General Nelson Miles, a former Secretary of the Army. The restaurant’s decadent courtyard is adorned with wisteria and a fireplace that allows for nearly year-round dining. 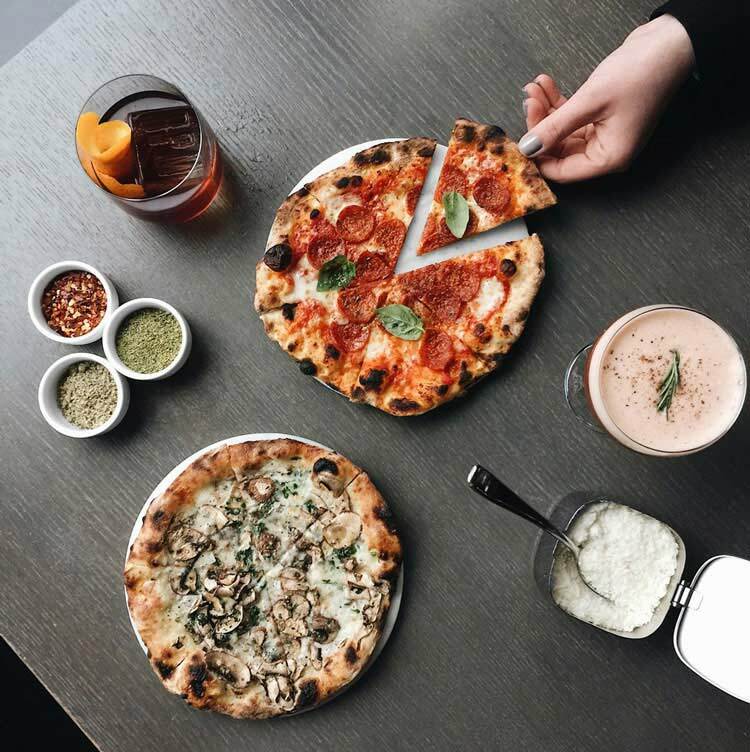 Maketto effortlessly combines a cafe, a fashionable retail outlet and a restaurant into one of the most unique locales in the District. Chef Erik Bruner-Yang’s kitchen churns out Cambodian and Taiwanese-style dishes that linger in your memory, especially the fried chicken and bread, which has quickly become one of the most talked-about meals in a city filled with buzzworthy creations. 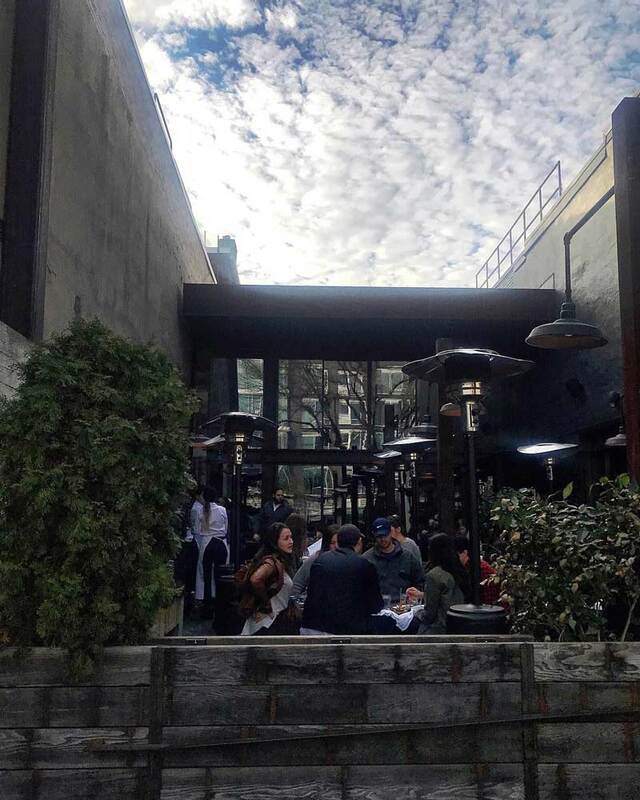 Head straight to the back of Maketto to dine in the scenic outdoor patio. Venturing through Gaslight Tavern just off U Street will take you back to a bygone era. The wood-paneled walls are accented with blue and gold wallpaper and adorned with brick fireplaces, evoking a Prohibition-style speakeasy. But the vibe changes as you near the back of this Hilton brothers watering hole, where a back bar featuring natural light from floor-to-ceiling glass doors opens up to a fenced patio. 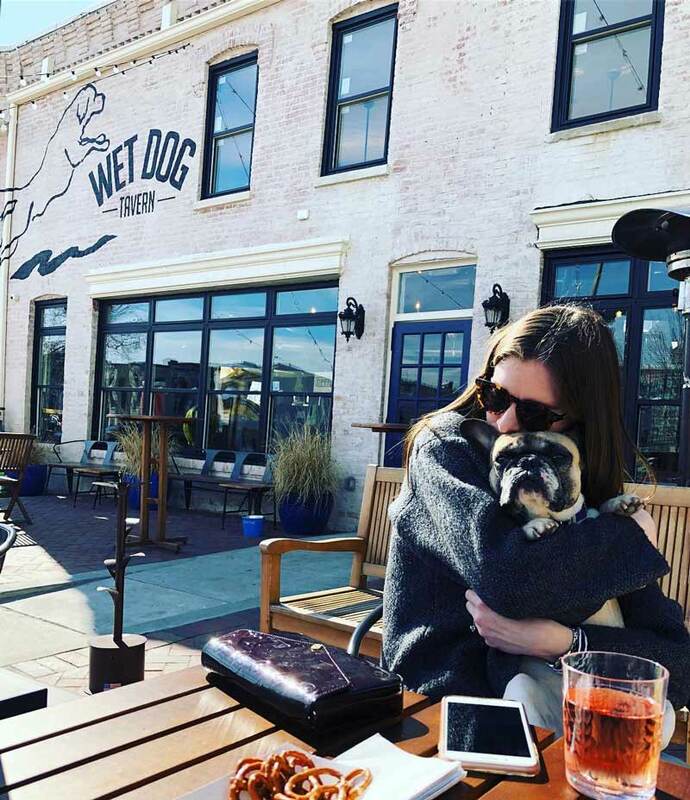 The Wet Dog Tavern near U Street is the ideal spot to enjoy a cold one al fresco. The small tavern leads to a vast dog-friendly patio complete with all the lawn games your heart desires. Choose from an extensive beer list and make sure to grab a burger from the outdoor grill. Industrial chic design is at its finest at American Ice Co. just off U Street. 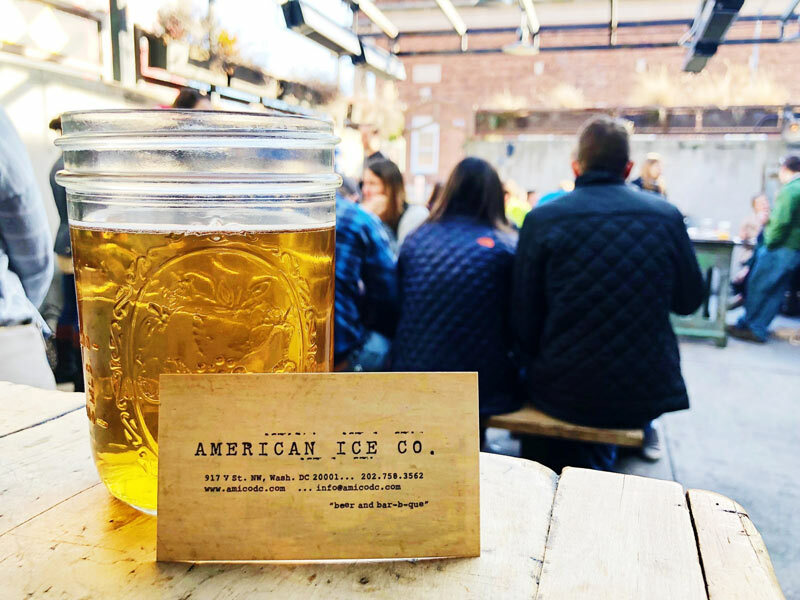 Settle in at the picnic tables on the front patio, sip your suds out of a mason jar and be sure to order the popular swachos (nachos with pulled pork). The vibe is equally hipster on the inside, as garage-style doors lead to the happening exposed brick-cement floor bar. This seasonal outdoor bar, which seats up to 30 guests on a first-come, first-served basis, is a fresh way to enjoy to one of Capitol Riverfront’s most popular seafood restaurants. 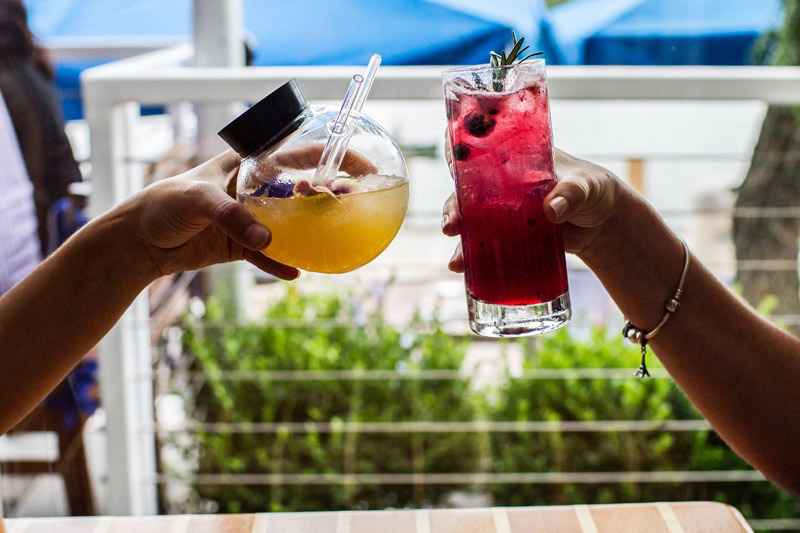 You will be able to catch beautiful views of the Anacostia River while sipping on a variety of rosé wines, or frozen drinks and beers, if that is your flavor. Snack selections include poached shrimp, Maryland crab toast and oysters on the half shell.